I have all six Teachers - I'm a teacher's pet! The Bags are different?!?! I need these too! Most of you know the 'Die Schule' comes with a teacher meeple and there are 6 colours (Red, Blue, Yellow, Green, Purple, Black). There's nothing special about the different colours and only one is ever in play. Die Schule was first released at Essen 2011 and came with a Dominion: Carcassonne Card. The Poll is a little difficult to run, as there is so many permutations here. Do you need all 6 colours, are you happy with 4, or just one? Do you need all 4 Meeple bags? 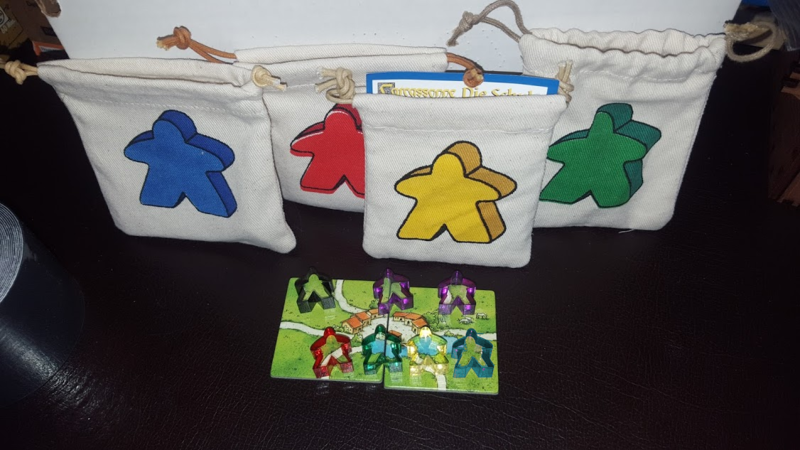 The example shows 3 different productions of Meeple Bags (The strings are different ): do you need these too? Do you play with all 4/6 Meeple at once in some interesting variant? Is this the worst Expansion ever for the budding completionist? Time to tell us your interesting stories about 'Die Schule'! You missed the obvious answer: I'm happy with just one teacher, and I don't care which colour. Exactly what I am looking for in answer list! Ditto, I was about to say this. If you have one, and you're happy with it you can specify the colour. Mine is hopefully in the mail. I am giving it to my wife though. She is a teacher. I have one, can't remember which it is but it's plenty for me. That would require me remembering the colour or digging the Teacher out of my rarely used pieces bag. Would you believe I still don't own this expansion? But sure would love to get it some day. I ordered one with my last order at Cundco, so waiting on the color but I'm happy with the one I'll have. I only have the one Teacher meeple, and he's red. This is fine, I don't consider the others important for completion. That being said, I have voted black because I would prefer a black teacher! I just happened to receive red. 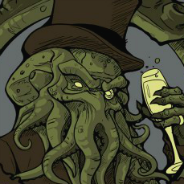 Or maybe yellow would be nice. If you order the School from Cundco, can you specify the colour? Or order a teacher as a spare part? Anyway, I don't consider them important for completion, nor do I have a favourite. I only have the one Teacher meeple, and he's red. This is fine, I don't consider the others important for completion. Me too. I didn't even realise when I got it that it came in different colours. Actually I'm not sure I realised that until today. Which is another way of saying that it's probably a good thing that I'm not doing these polls myself anymore! This expansionn is a logistic nightmare, if you're not sure go ahead and vote for your colour of preference. It's half favouritism half completionist this week. @Christopher - the order from cundco is blind, they won't check for you. The first purple I found I asked someone on BGG to dig through 100 bags they had. It was in the very last! I have teachers in all six colours. Of the two rare colours, I was able to just get the purple one from a spare parts order on Cundco, but the black teacher was very difficult to find! What finally worked was finding a blog online that had a photo of the black teacher and then contacting the author for a trade. When playing with this expansion, instead of having one teacher in the middle that people claim, I play that everyone has their own coloured teacher and when someone completes a road in to the school they mark it by putting their teacher on the school. 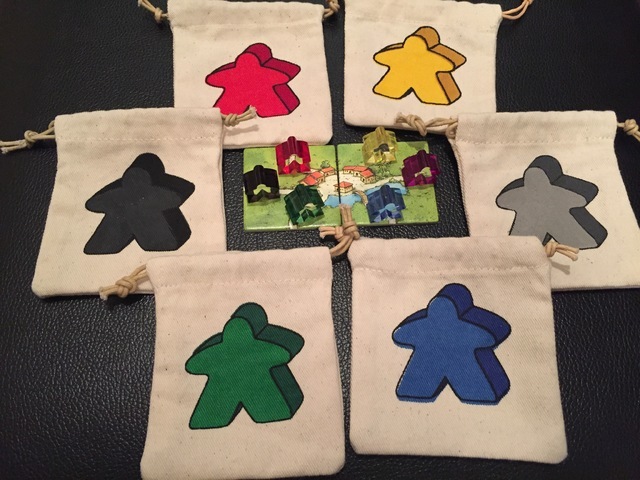 I also use the coloured bags to hold all of that player's meeples to distribute at the start of a game. They are a really good size for that! That's a much better photo than mine! This poll has got the most varied results yes! It's seems generally most people don't sare what meeple they have; while a small group do care what bags they they have! I was lucky on bgg and found a seller on a Math trade for black and purple. I feel you need a teacher in each colour and one of the 4 bags to be complete. Variety in bag strings and Dominion card not so important.